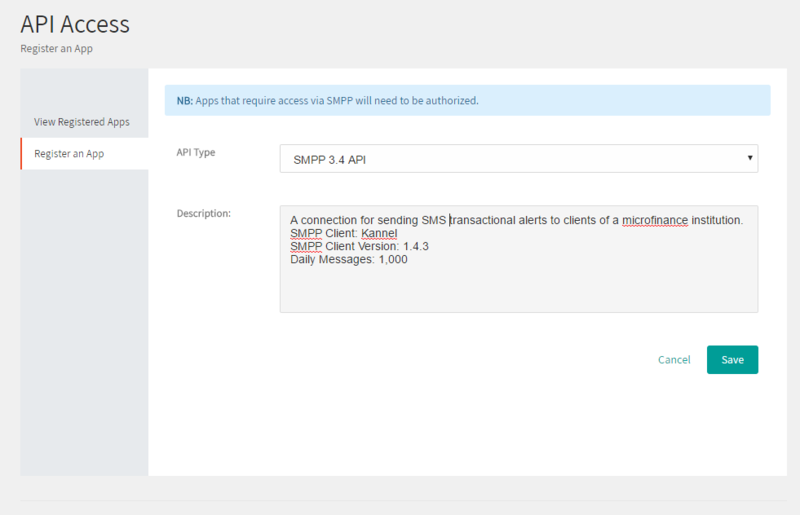 The Hubtel Simple Messaging Peer to Peer (SMPP) API allows you to send large volumes of SMS messages over an SMPP connection. An understanding of the SMPP protocol is required to be able to establish a connection. This API is based on the SMPP 3.3 and 3.4 specification. 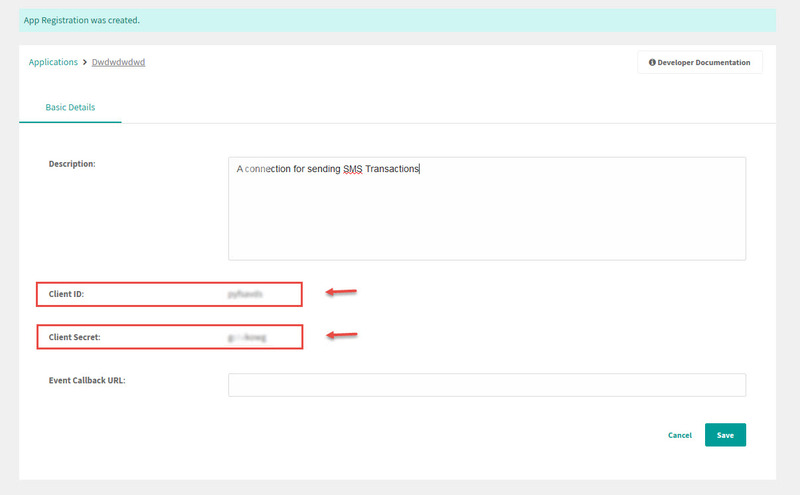 To be able to establish a bind you need to create your SMPP API keys on Hubtel and install an ESME (External Short Message Entity) or SMPP Client. 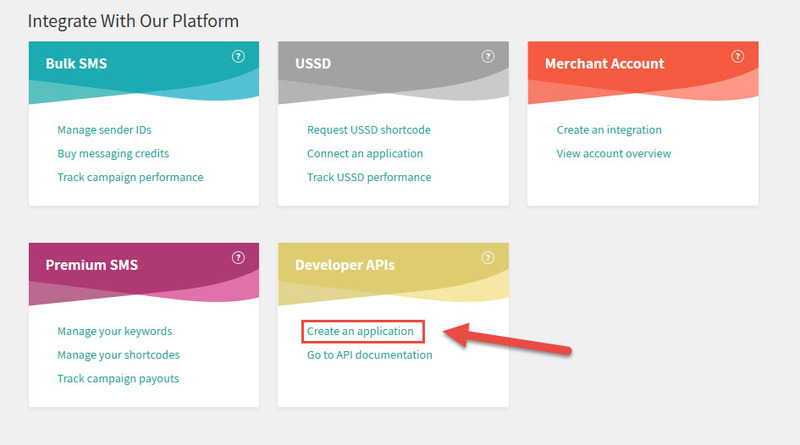 How to set up Your Account to use the SMPP API. 4. Provide a detailed Description for your App. 5. Select SMPP 3.4 as your API Type. 6. Click on Save to complete your app registration. 7. Copy your Client ID and Client Secret for API connection. 8. Raise a ticket to notify Hubtel to obtain an SMPP API Account Approval. 9. Your request will be reviewed and authorized.